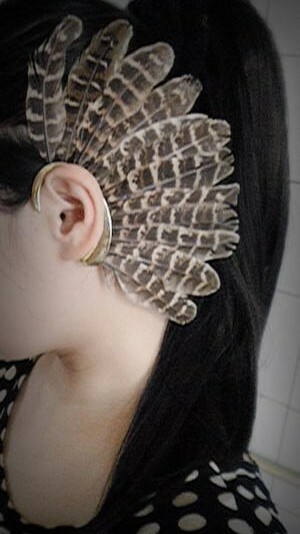 If you want to add some drama and natural elegance to your raiment then this ear cuff will do the trick! A simple but wonderful way to accessorize your look, these all natural feathers will create just the right touch of mystery and beauty. One piece for Left ear!